You won't really see many Benefit reviews on my blog because I've just never been able to click with their products. I did rave about Brow Zings but as I've found a total babe of a replacement at a fraction of the price, I no longer use it. 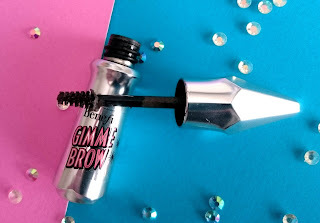 However I recently managed to get my paws on a sample of Gimme Brow and Goof Proof so I thought I'd give them a shot and review them! I remember when I first started blogging and I saw the rave reviews Benefit received so I went out and brought the full size They're Real Mascara. £18.50 a tube and when it did nothing for me I was heartbroken. Being one who doesn't like to quit, I then forked out for one of their moisturisers, again almost £30 and it just sat on my skin leaving me feeling greasy and my wallet feeling lighter. I wasn't going to be put off and went to a Benefit counter where I got to try Brow Zings (you can read my review here - Brow Zing Review). I liked the result so I got it. I used all of it and it was my total go to eyebrow essential! 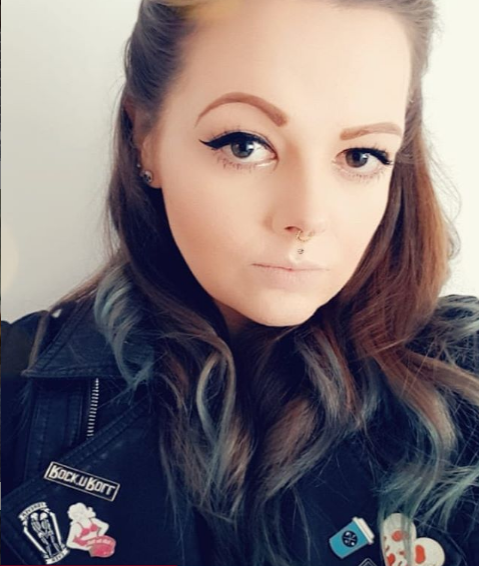 Until I discovered that instead of £25 I could pay £8 with Makeup Revolution Ultra Brow and not only get one coloured wax and powder but multiples plus a few highlights thrown in for good measure. As these two products I got as free samples, I thought I would step into the world of Benefit once more and see if they could finally, change my previous experiences. 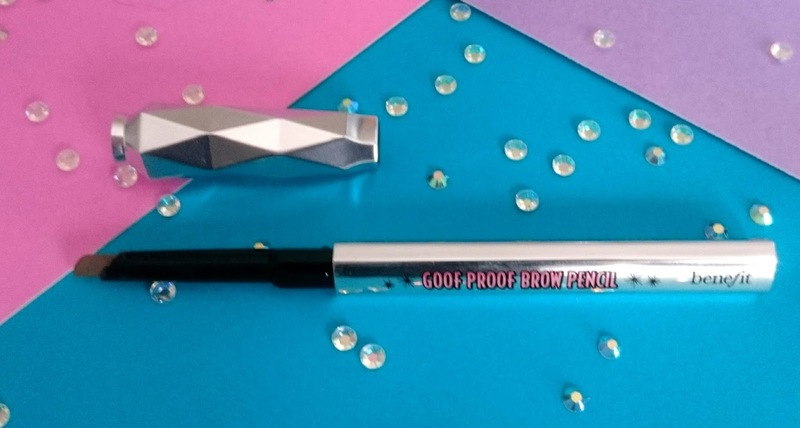 I'll start with Goof Proof Brow Pencil. I got this sample free online and it turned up in a week or two. It's a decent sized sample too with 0.11g of product, The packaging and advertisements all shout it's praises and claim 95% of people who tried it found it easy to fill and shape brows. Now I got shade number 2, which is a dark blonde/light brown shade which truthfully is probably a tad light for me. I didn't find the colour was easy to apply until the product was a bit warmer but I did like the unique tip that has a pointed end of definition and a wide end for filling in. I did find I had to go over my brows a few times to get the coverage I needed but overall the result isn't too bad. I think if I was to purchase this it would be shade 3 but I don't think this would be my can't live without eyebrow product. I would like to report back that it doesn't budge as the title suggests but one rub of my eyebrow and this stuff slid off my face quicker than any other brow product I've tried. It's not even particularly hot, so I can't blame the weather! The packaging is of course, gorgeous. I love the way Benefit package their products and with this brow pencil I adore the quirky lid with the beautiful high gloss chrome finish and the pink and black writing. 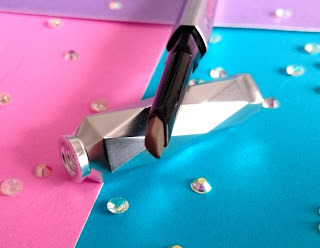 Visually it stands out from all the other products in my makeup bag and it really is one of those you'd want to pick up just to see what it is. I'm going to keep using this product over the summer, while I don't mind having lighter brows and I'm not really feeling a full face of makeup but I don't know if it is one that I'll be purchasing a full size of. Benefit's Gimme Brow is one I am slightly more impressed with. The other day I decided to take the leap and chuck it on my face, I wasn't sure so turned to Twitter and the result was they all preferred my eyebrow with Gimme Brow to my usual powder one. Being one who's willing to give it a shot, I decided to spend the next few days seeing if I did like it or if it was just because it was so different to my usual. I got Gimme Brow in shade 5 which is a dark brown, honestly I could probably do with a shade lighter but it doesn't look bad, just a bit darker than I'd traditionally go for. Again I got a good sized sample at 0.03g of product. I did a bit of research on how to apply this and found out from Benefit themselves, you should go against the hair first and then back with the hair so you don't end up with light patches. As it goes, it seems to work pretty well! 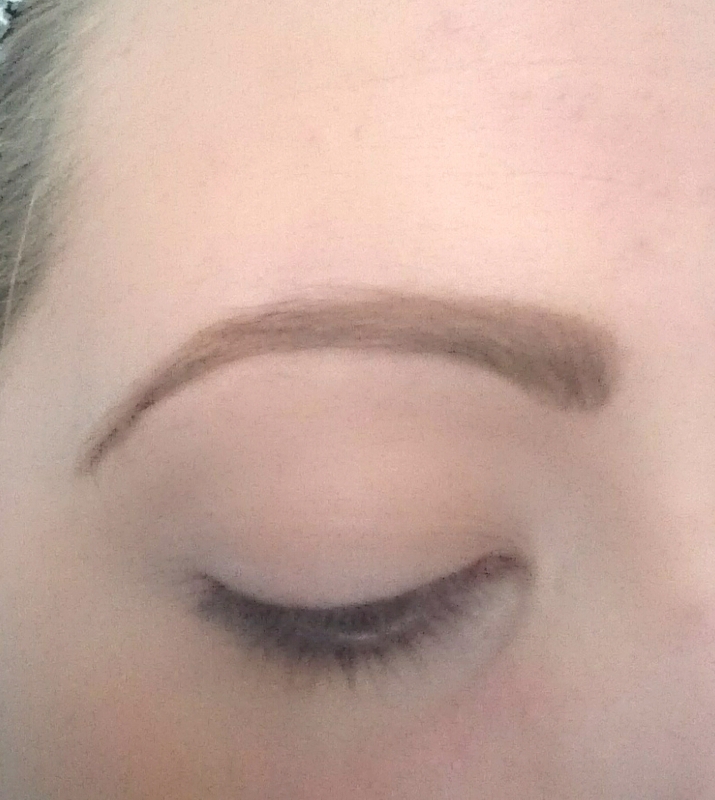 I found it easy to apply, it dried quickly and left my brows looking less patchy, more filled in and more defined. I also found it really long lasting and even in 31 degree heat, they didn't melt off my face and I didn't rub them off either. 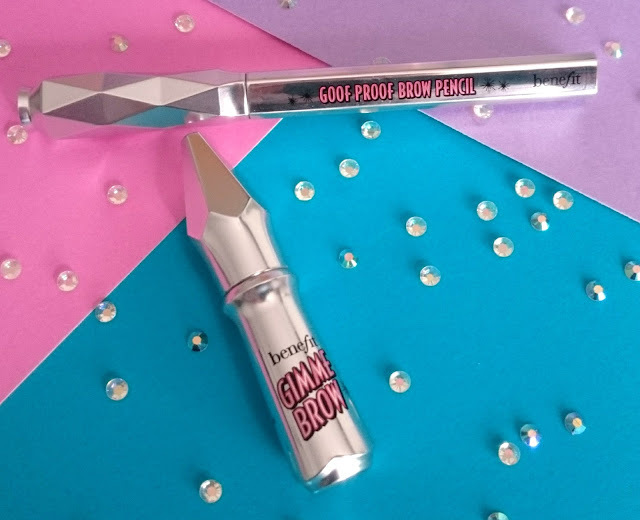 I like the little brush applicator but it can be a bit fiddly and it's easy to wipe on your face while your putting your brows on, it does come off easily when it's still wet though, so although application can be a bit messy, it's not one I wouldn't use because it's a hassle. Packaging wise again, it's gorgeous. Chrome, quirky lid, pretty pink and black lettering. It's another one that stands out from everything else in your makeup collection! I'm going to keep using this until it's done and see if I'm still pleased with it. If so, this might be the one I do actually purchase in a full size product! So will you look at that, despite my many unsuccessful attempts with Benefit, I may have finally found a product I like! Do you use Benefit? How have you found their products?